Fashion Friday Sale! 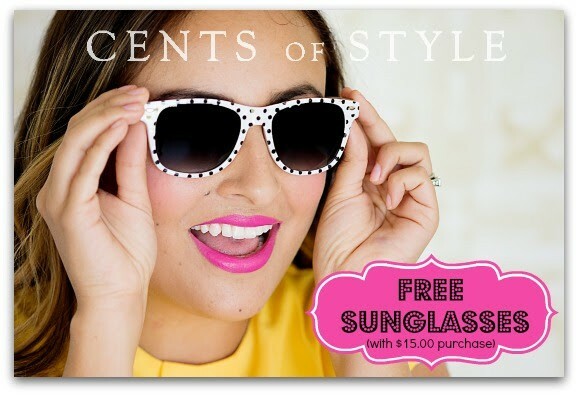 Free Sunglasses + 10% Off with Any $15.00 Purchase! Happy Friday everyone! 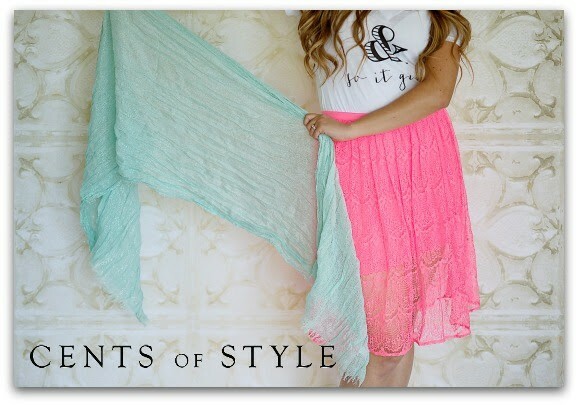 I have a fun and fabulous Fashion Friday deal for you today from Cents of Style. When you spend $15.00 or more, you will receive a FREE pair of sunglasses, plus 10% off and FREE shipping using coupon code SHADES. Nice deal right?! Cents of Style has added a lot of product to their clearance section for even more savings. The Kass scarf is a metallic highlighted oblong scarf and comes in 4 colors. It is only $7.95 & FREE SHIPPING today, 6/13/14. Buy two for $15.90 and get the FREE sunglasses too. 3 items- $15.90, $5.30 per item & FREE SHIPPING! 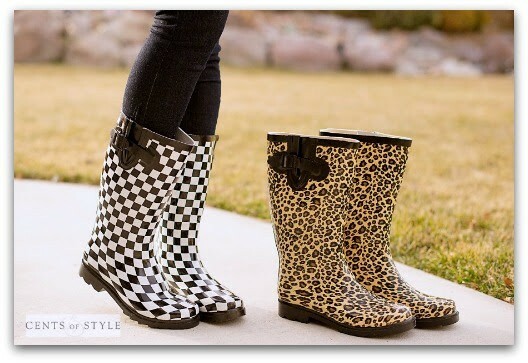 Get a fun pair of wellies for $19.95 today, add the free sunglasses and rain boots for under $10 each! -limit one FREE pair of sunglasses per customer/per order. -please make sure the total spent is $15.00 or more at final checkout, after all discounts. The FREE sunglasses will ONLY be sent with order who fulfill the $15.00 requirement on the final purchase price. Are you ready to have some fun shopping and choosing a few really cute items, plus getting a Free pair of sunglasses and Free Shipping? Head on over to Cents of Style TODAY! This deal is good for today only, 6/13/14.